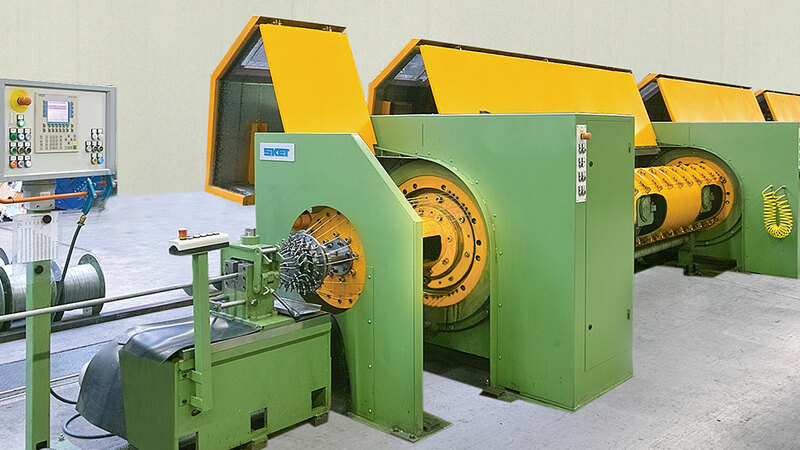 For many years high-speed tubular stranding machines have played the dominant roll in the wire rope industry and they are essential for the manufacture of steel wire strand and rope. 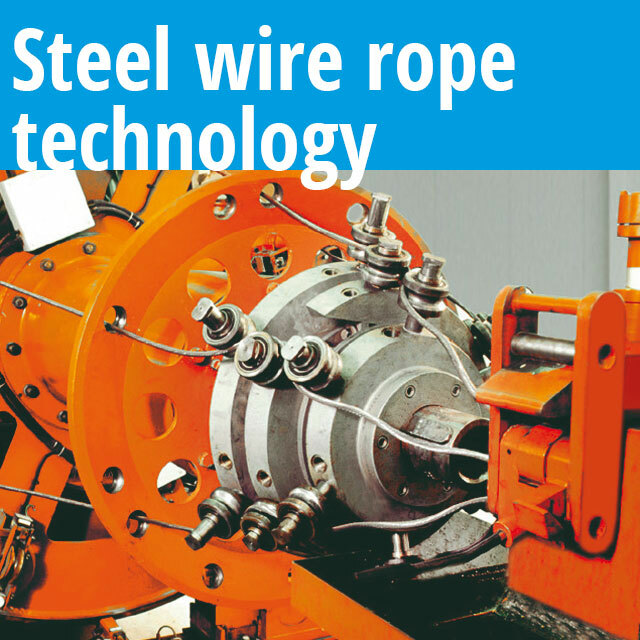 Whereas they were previously used mainly for the production of strand, today they are also used more and more for the closing of ropes, due to their greater effectiveness when compared to cage type stranding machines. 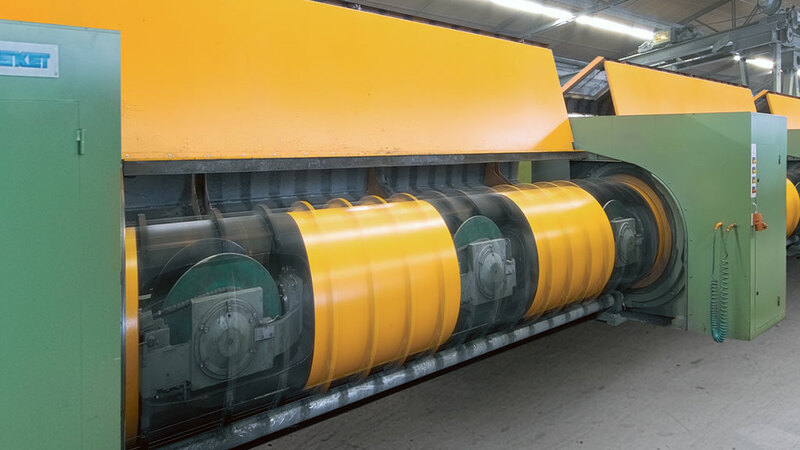 Due to the ease of their handling during product changeover operations, high-speed stranding machines of all types are particularly flexible and suitable for users having continuously changing production programmes with a broad product spectrum and short production lengths. 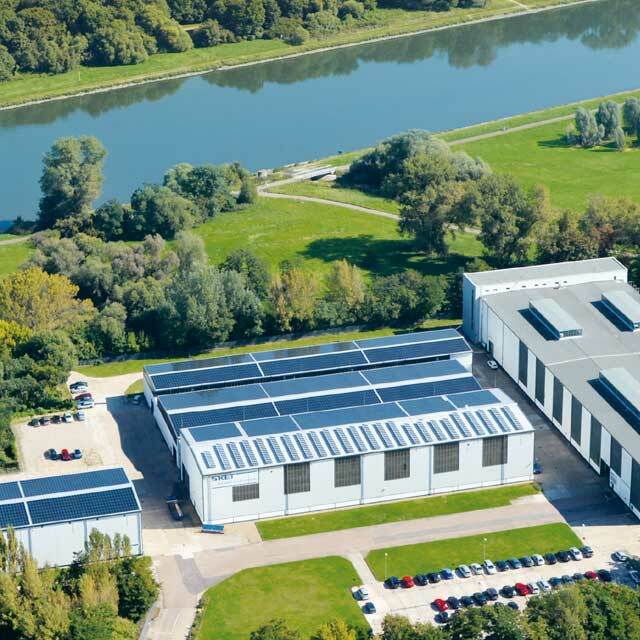 SKET Verseilmaschinenbau GmbH in Magdeburg has many years of experience in the development and manufacture of stranding machinery and offers manufacturers of wire rope a wide range of such machines for the stranding of steel wires and steel wire strands. 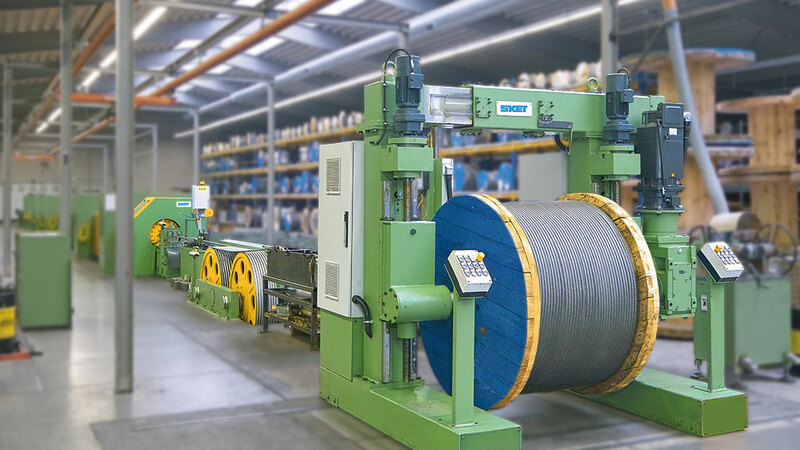 Continuous development and the further improvement of already well proven machine systems with purpose designed special assemblies, together with variability in numbers of machine bobbins, have led to a considerable increase in areas of application in the wire rope industry. Optimum tube design and manufacturing methods, the use of encircling bearings, new braking materials for wire and strand tension control and wire guides and guide materials designed specifically to suit the requirements of stranding technology, combine to ensure constant and relia-ble operation and the excellence of the finished product quality. 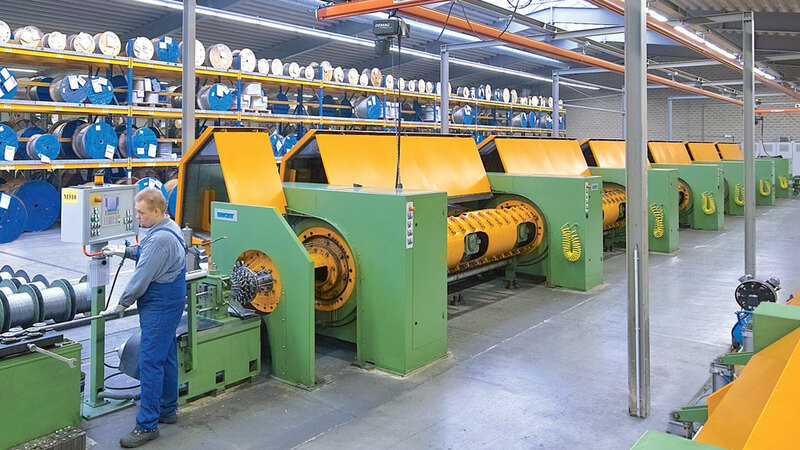 The stranding tubes consist of a number of tube sections, which are housed in encircling bearings resulting in high speeds, low power losses and simplified maintenance. 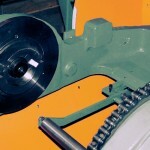 Dependent on the size of the bobbin, the tubes accommodate up to four bobbins per section. 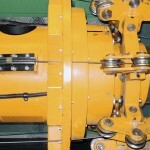 The lubrication and the temperature of the bearings is continuously monitored. 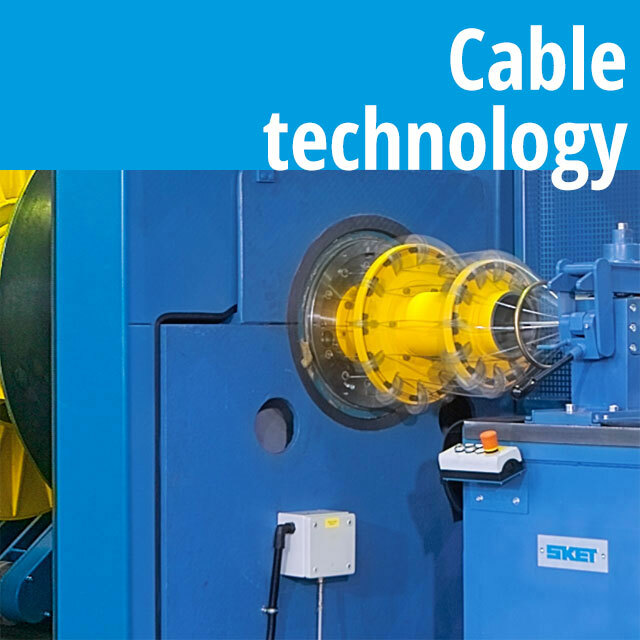 The machines can also be fitted with gauges to measure and display tensions in the materials being stranded.